A Super Quick Play Pouch! There are several birthdays coming up in my family these next few weeks. 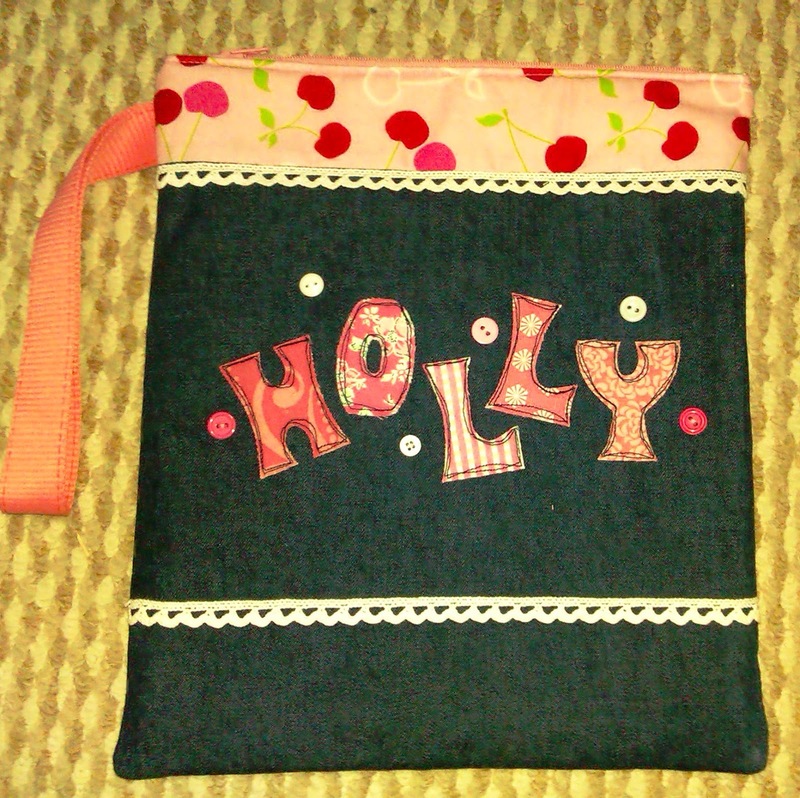 This afternoon, I made this play pouch for a young niece who loves the colour pink. When I need a quick, easy project idea, I turn to free motion sketching! It’s great for personalising gifts for kids! 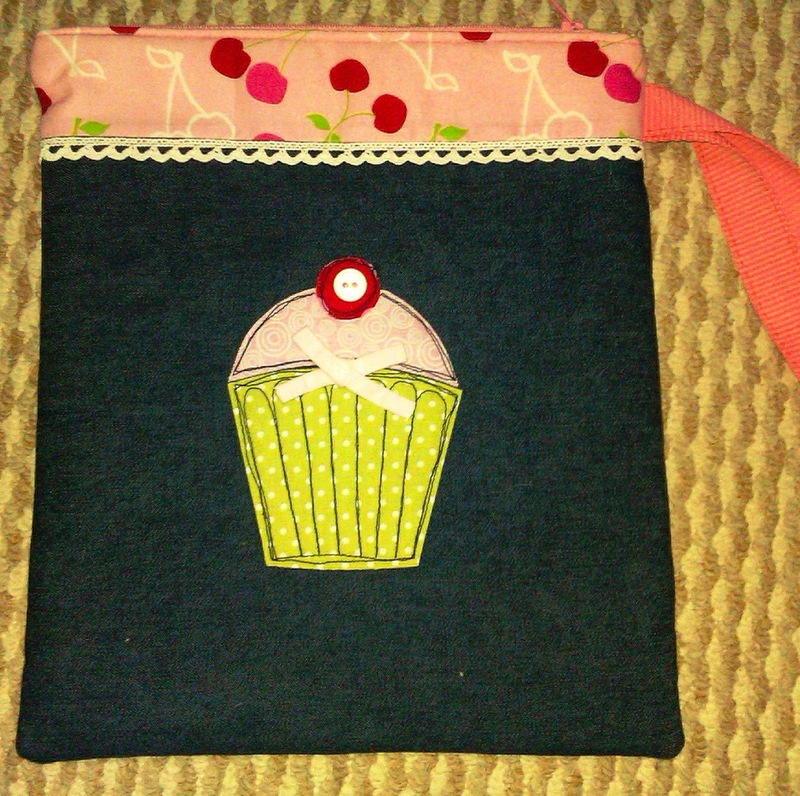 It measures 10″ x 12″ so a great size for popping in a few books and pens – handy for car journeys! I recycled a child’s belt for the wrist strap. I will be filling this pouch up with treats before posting it over to England. Previous Previous post: Block Party Sampler Quilt! Next Next post: New Messenger Bag!